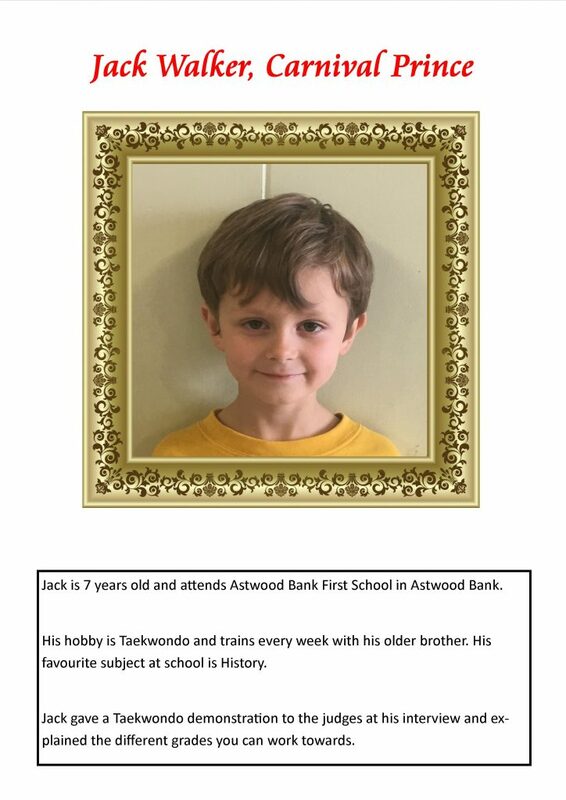 With twice as many entrants as in 2016, the Astwood Bank Carnival team had their work cut out narrowing down all of the high quality entrants to the final carnival Royalty ‘family’ for this year. In fact both the number and the quality was so good that the team have introduced a new Royal position, that of Rosebud. 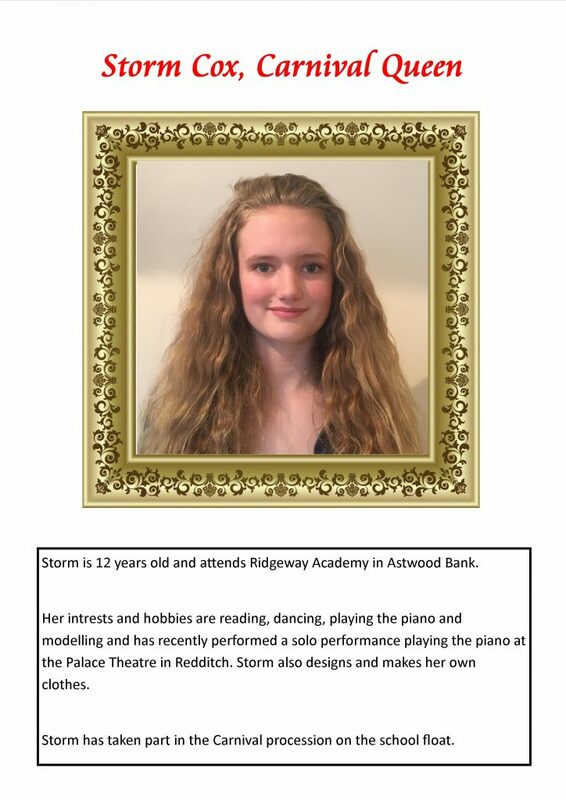 This year’s Astwood Bank Carnival Queen will be Storm Cox aged 12, with Emily Flower aged 9 being Princess, both of which attend Ridgeway Academy school. 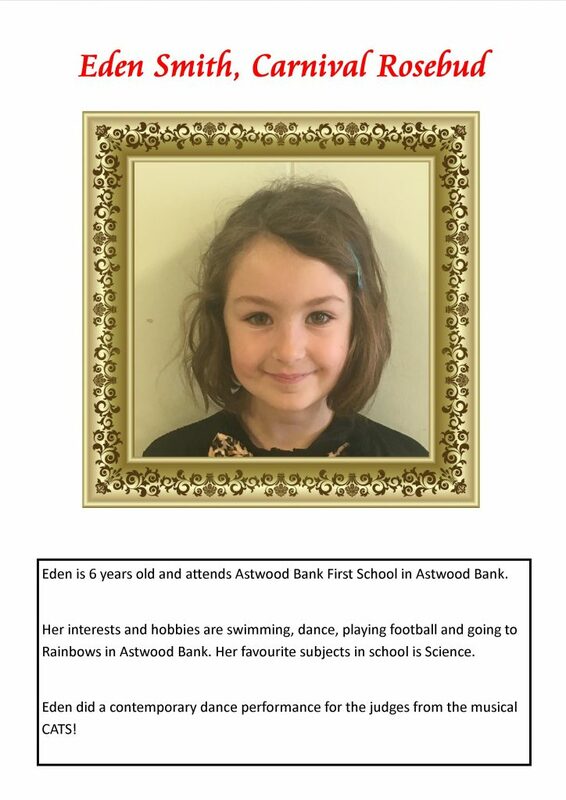 Jack Walker, aged 7, will be Carnival Prince, whilst Eden Smith, aged 6, who along with Jack, attends Astwood Bank First School, being appointed Rosebud. Rather than an interview for the members of Carnival Royalty the selection team continued with last year’s successful approach of holding a talent show on Saturday 20th May. This icebreaker then allowed the team to conduct a much more informal chat to help them chose this year’s winners. 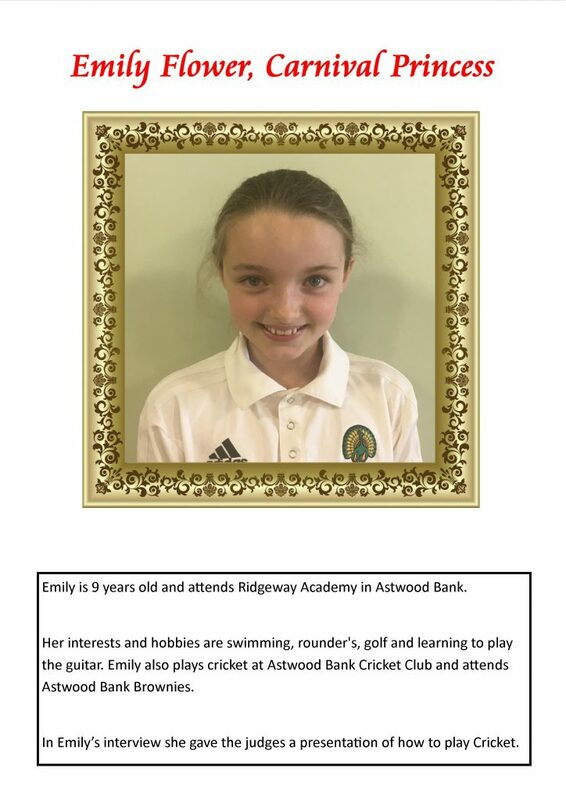 The team were presented with a wide variety of skills ranging across singing, musicians, reading stories with puppets, taekwondo, cricket skills, and Irish dancing. The highlight of the Carnival Royalty year will no doubt be Carnival day itself which this year will be Saturday 8th July. The Royalty will be leading the procession of floats, walking groups, marching bands and even the odd steam traction engine. Starting from SE Davis in Edgioake Lane at 12:00 and winding its way around the streets of Astwood Bank it will return to the Carnival field at 14:00, where shortly after the Carnival Royalty will officially be crowned. They will then get the opportunity to enjoy all of the traditional summer fee activities put on.